Dr. Katelyn Crawford stands in the soon-to-be-opened Magic City Realism exhibit. Journal photo by Sarah Kuper. Staff at the Birmingham Museum of Art are busy readying galleries for the newest American Art exhibit, “Magic City Realism: Richard Coe’s Birmingham,” opening March 24. This is the first new exhibit under the leadership of the BMA’s new William Cary Hulsey curator of American art, Dr. Katelyn Crawford. Crawford comes to the BMA from the Nelson-Atkins Museum of Art in Kansas City, where she was the assistant curator of American art. She received her bachelor’s in American history and art history from Columbia University, and she earned her master’s in history of art and architecture from the University of Virginia. She recently completed her Ph.D. in the history of art and architecture at UVA. Crawford has held prestigious fellowship and research positions across the country, and she said she is delighted to find herself curating the BMA’s permanent collection of more than 3,000 American art pieces. Crawford’s love of American art and history began at a young age with a particular interest in colonial America. She describes her mother as a revolutionary history buff, and she said her parents collect art. Since moving to Birmingham, Crawford said she has been surprised by the cosmopolitan feel of the city. She took a crash course in Birmingham history while planning and curating the upcoming Magic City Realism exhibit, which provides glimpses of Great Depression-era life in Birmingham. 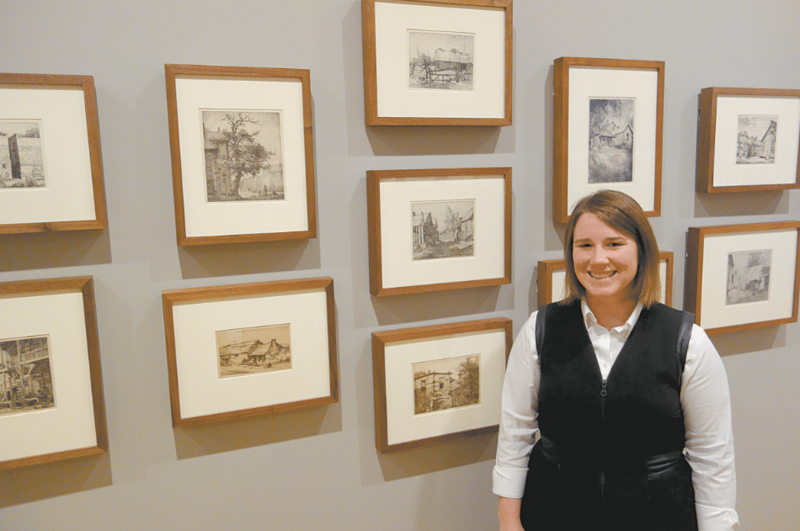 Crawford said she has had tremendous support from the Friends of American Art support group as she explores the city and the works at the BMA. Crawford said she feels privileged to be a part of the BMA and she is looking forward to sharing the Richard Coe exhibit and the larger American art collection with the public. “Magic City Realism: Richard Coe’s Birmingham” opens March 24 at the Birmingham Museum of Art. The exhibit is made up of more than 60 etchings by Alabama native Richard Coe. The pieces give museumgoers a glimpse into Depression-era Birmingham through detailed depictions of daily life. Richard Coe spent time in Birmingham during the 1930s and illustrated the early downtown skyscrapers as well as the shanties housing the city’s poorest citizens. He drew many iterations of Sloss Furnaces featuring the technology of the day combined with images of manual labor. Coe was appointed head of Alabama’s state Works Progress Administration art programs in 1937. Images on display include Coe’s etchings of scenes from civic life as well, such as churches, schools and hospitals. The etchings have been gifted to the museum by John Peter Crook McCall and Doy Leale McCall III.